We need more dancers- help keep the tradition alive! 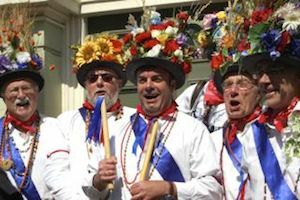 We will be running a free 8 week course in Morris Dancing (North West tradition) every Wednesday from 17th October to 5th December 2018, 8-10pm in Yoxford Village Hall. No experience necessary. If you enjoy it you could be dancing with us from the following April! If you are at Folk East this year, we will be running workshops which will give you a flavour. 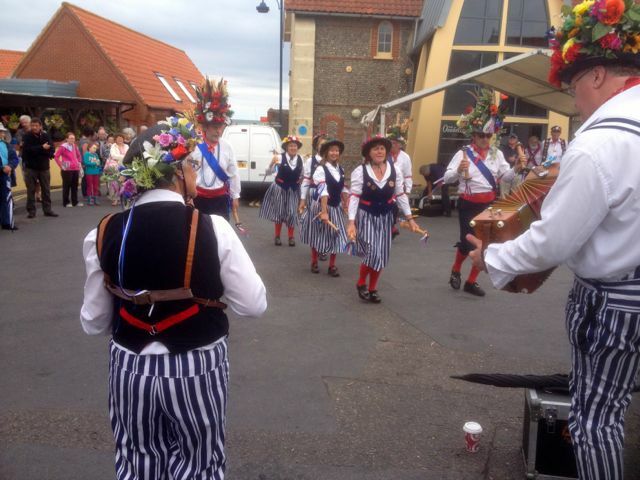 Barley Brigg, founded in 1989, are a mixed morris side based in Yoxford, East Suffolk. 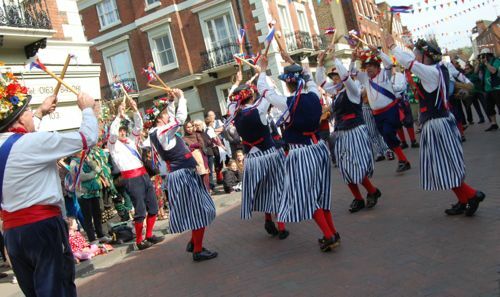 We dance the North-West tradition of morris which means colourful costumes and clogs with bells. We are instantly recognisable, with our patriotic colours of red, white and blue and impressive flowery hats! We meet every Wednesday evening in Yoxford Village Hall from 8pm-10pm during Autumn and Winter, and during late Spring and early Summer you will find us out and about at various pubs on and near the picturesque Suffolk coast. You are very welcome to come along to a practise session just to watch, or to have a go, either dancing or playing. No previous experience necessary! See the Contacts page for details. Please explore the site to find out more about Barley Brigg and North-West morris, and for the dates and venues where you can see us this year.